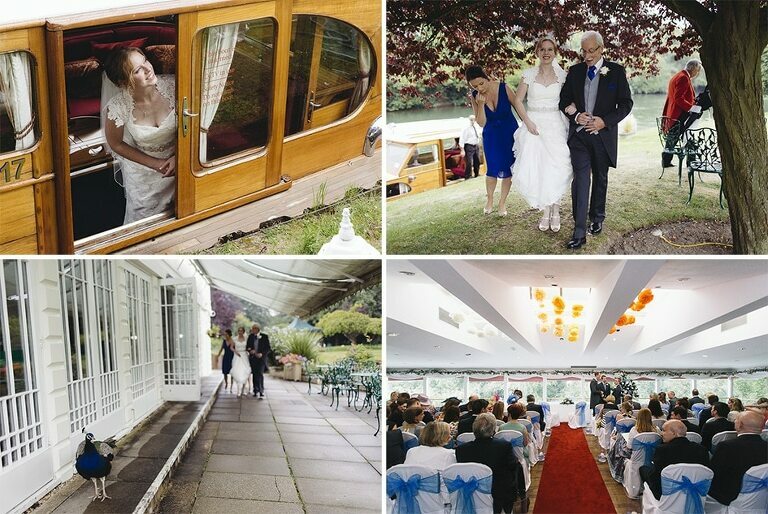 Monkey Island Hotel is a centuries-old retreat concealed in the River Thames. This secluded paradise is the perfect place to tie the knot with it’s elegant gardens and is accessed only by footbridge. Jen and Garry got married in August and after a wet start, the sun finally came out to offer some fantastic sunset photo opportunities. A wild day finished in style and a truly memorable wedding!